I just read a really good book, y'all — An Act of Murder. 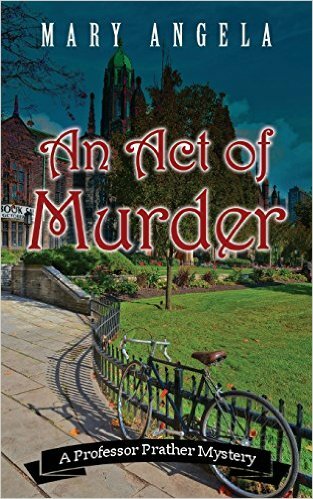 An Act of Murder is the debut novel by Mary Angela, and the first book in her Professor Prather Mystery series. Let me tell you a little about this cozy mystery. An Act of Murder stars Emmeline Prather, assistant professor of English at Copper Bluff University in Copper Bluff, South Dakota. She is "one of the younger faculty members at twenty-eight years old." She is "always searching for ways to look professional," and tries to keep her focus on getting published and receiving tenure. With her youth comes much enthusiasm for her students and her classes. Prof. Prather expects more of her students than do the other professors of the mandatory freshman courses of Composition 101. By requiring them to recite poetry and perform community service, she is ensuring they receive a true liberal arts education and are better prepared for the real world. Author Mary Angela paints beautiful word pictures of Copper Bluff — the town and the campus. I can clearly picture both of them in my mind. As I read about the fall semester starting at Copper Bluff in An Act of Murder, I could imagine the years rolling back to my college days because of Ms Angela's evocative prose. Author Mary Angela has created a cast of memorable characters, headed up by the quirky Emmeline Prather the Instigator, and her stalwart sidekick Lenny Jenkins. I love their witty repartee, as demonstrated here. "Are you crazy?" he continued. "I'm pretty sure they call that ... something I could be arrested for." I grabbed his arm and resumed walking. "Keep your voice down. It's called 'interfering with an investigation,' and you won't be. It's just Dan Fox calling about his gloves; that's all." "Unless they find out I'm not Dan Fox. Then it's called 'Lenny Jenkins is out of a job.' "
"Oh, don't be so dramatic," I said. "It's not as if we don't have good intentions. When we find out what really happened, you'll be a local hero. They might even name a classroom after you." "Yeah, Jenkins's Jail Cell," Lenny mumbled. "This is what happens, kids, when you interfere with an official police investigation." I look forward to reading more about the Adventures of Em and Lenny in future books. I was quite surprised by whodunit in An Act of Murder, and also by the reason for the murder. Can you figure it out before Emmeline does? 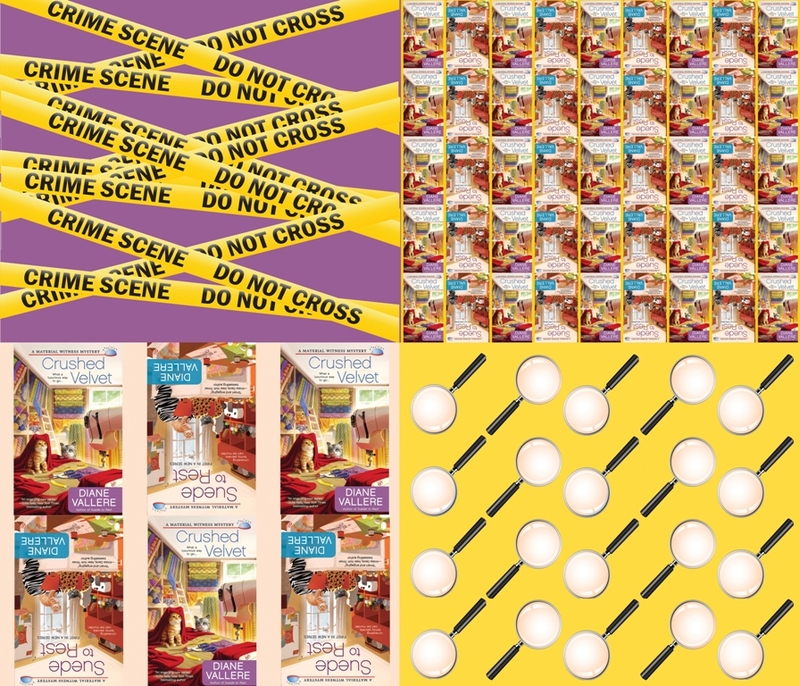 I recommend An Act of Murder to all fans of cozy mysteries, particularly fans of academic mysteries. I think it will have special appeal to fans of Frankie Bow's Professor Molly Mysteries. I really enjoyed An Act of Murder, and bestow upon it Four Kitties! Note: I voluntarily reviewed an Advance Reader Copy of An Act of Murder. Click here, to follow the tour and read other reviews, interviews, and a guest post! 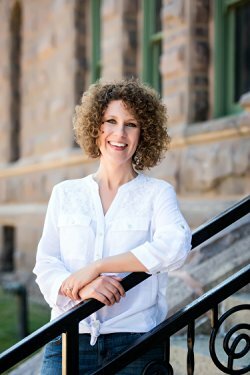 Mary Angela is the author of An Act of Murder, the debut novel in the new Professor Prather mystery series being published by Camel Press. Like her protagonist, Mary lives in South Dakota and teaches college English literature and writing. When she’s not grading papers (when is she not grading papers? ), Mary enjoys reading, traveling, and spending time with her family. She and her husband have two amazing daughters, one adorable dog, and a cat who would rather not be limited by an adjective. 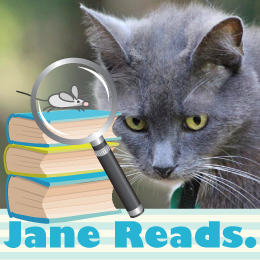 An avid mystery fan, she is a member of Mystery Writers of America and Sisters in Crime.